In the past year, I have been on a mission to understand and practice self-compassion, which is sometimes defined as “extending compassion to one’s self in instances of perceived inadequacy, failure, or general suffering,” and what I have learned has made me realize that this practice is at the heart of everything. How will you practice self-compassion? Thank goodness: an easy question. This is not remotely original, but I only learned it this year, and it is remarkably helpful. The golden rule: treat others as you would have them treat you. The silver rule: treat yourself as you would like others to treat you. One can never really know anyone else, but one never knows oneself, either. One doesn’t know the full story, and so it is worth stopping, and listening, and finding out what is really going on. 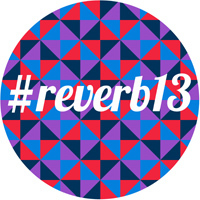 This entry was posted in reverb and tagged reverb13. Bookmark the permalink.